In1866, seven freedmen gathered for the purpose of forming a church. 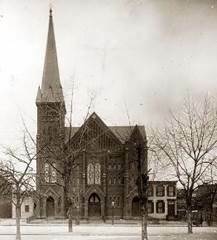 Receiving the necessary certification from the Nineteenth Street Baptist Church, these former slaves set themselves apart and formed the Fifth Baptist Church of Washington, DC. They called as their pastor the Reverend John Henry Brooks, a former Union army wagon driver. Over the past one hundred fifty-two years, the Fifth Baptist Church has done some growing and some changing. 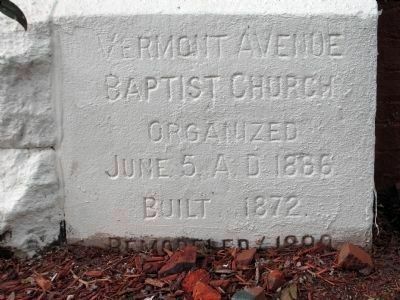 We have grown in number and we have changed many things, including our name to Vermont Avenue Baptist Church. In the midst of the astonishing growth and change, some things have remained persistently the same. We have, through the grace and mercy of God, continued to be a church led by the spirit, directed and focused on the will of God and committed to the cause of lifting the name of Jesus. We praise God for the gift of constancy that has kept our light burning, as a city set on a hill, guiding the lost, the disinherited and those in search of salvation to Him. Our church has been blessed to have only seven pastors (and one interim pastor). Our first pastor, shepherded the flock from its establishment until his death. Under his pastorate, the church was renamed and he erected what is now the main sanctuary of the church. God blessed us by sending Reverend George Wellington Lee to be our second Pastor. Reverend Lee guided us, lending his world-renowned stature and reputation to our burgeoning position as one of the nation’s leading churches. During his pastorate, the current front of the main church building, along with it’s distinctive tall steeple, was constructed. From his deathbed in 1910, he commissioned our third pastor – Rev. James E. Willis. Our third pastor, Reverend James Edward Willis, or “Little David” as he was affectionately called, was an extraordinary preacher. Under his leadership, he kept the spirit and development of our church on fire for the Lord. During his pastorate, the back of the main sanctuary was built, containing the choir loft and pulpit. Rev. Willis died suddenly in 1928. The Lord blessed us with our fourth pastor, Reverend Chasteen Theophilus Murray. He steered the congregation toward unparalleled growth and development in the midst of troubling times. During his forty years of pastorate, Rev. Murray reorganized the church and formed countless clubs and auxiliaries, while numerically and spiritually we continued unprecedent growth. During his pastorate, the C. T. Murry Extension Center building was erected, enlarging the classroom space, added a larger cafeteria, kitchen and church office, and a multipurpose Roof Garden for outdoor activities. At the announcement of his retirement, he recommended our fifth pastor – Rev. John R. Wheeler. 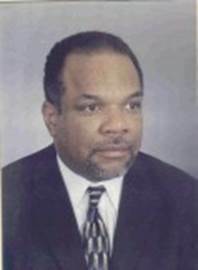 Rev John R. Wheeler, our fifth pastor, from 1969 to 2007. We purchased and gifted a church to the Baptist congregation in Kwa Mashu, Zululand, South Africa. We constructed, then retired the mortgage on the John R. Wheeler Family Life Center, a facility complete with a bowling alley, an exercise room, a modern cafeteria and a luxurious banquet hall. Our Family Life Center serves as a model for churches interested in the holistic approach to ministry. It has allowed us to open our doors to numerous groups and individuals, some of whom who have no church affiliation or rearing. The Family Life Center has proven to be an invaluable missionary tool in our ministry. In 2007, after the passing of Rev. John R. Wheeler, the church confirmed the naming of Reverend Cornelius Rayford Wheeler as our sixth pastor. His dynamic, bible-based, lesson-focused ministry served as a foundation for a church that continued to prove itself relevant to the present, standing on its history, and reaching for the future in the name and cause of Jesus Christ. Under his leadership, the church undertook a significant upgrade to the main sanctuary building. This effort maintained the original look and feel of the historic sanctuary while adding in new air control systems, a state of the art sound system, a new floor layout for the lower level, upgraded restrooms, new Sunday School classrooms, and a new lighting system for the sanctuary. Our dedication to missions, both national and international, was continued as Rev. Wheeler reaffirmed our work with Lott Carey and traveled to several countries to spread the gospel. 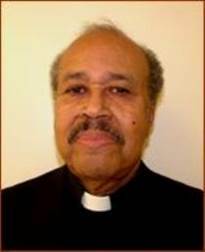 Due to health concerns he retired in 2016 and became Pastor Emeritus. The church elected Rev. Isaac A. Fox to serve as Interim Pastor until a new pastor was selected. for which to be thankful!